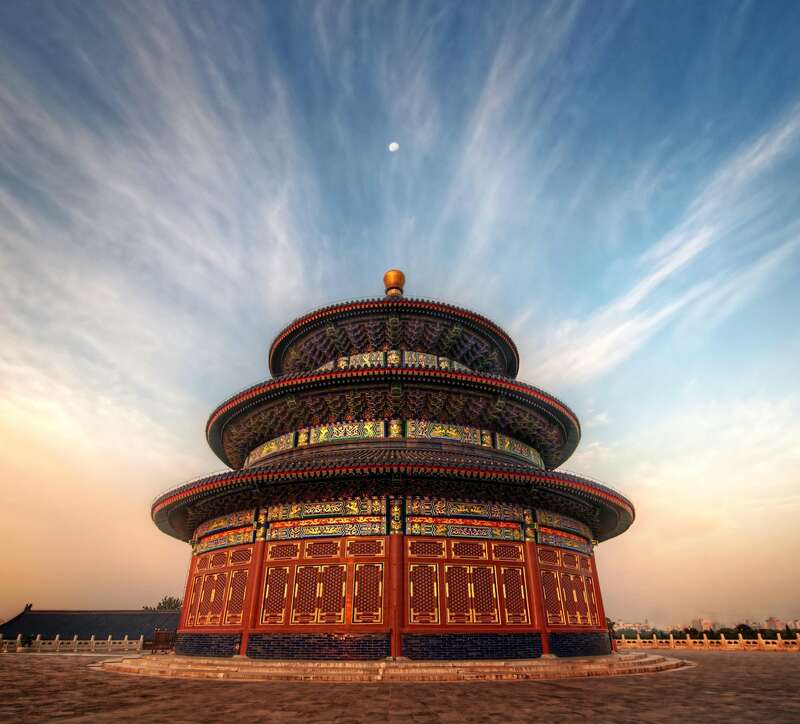 14 Days China Ancient Architecture and Culture Tour includes a visit to Beijing, Datong, Pingyao, Xian, Tongli Water Town and Shanghai, you will have an eyes-opening experience by introducing traditional Chinese architecture including Imperial palaces, Qiao Family Countyard, Temples, Pagodas, and Suzhou Classic Gardens. 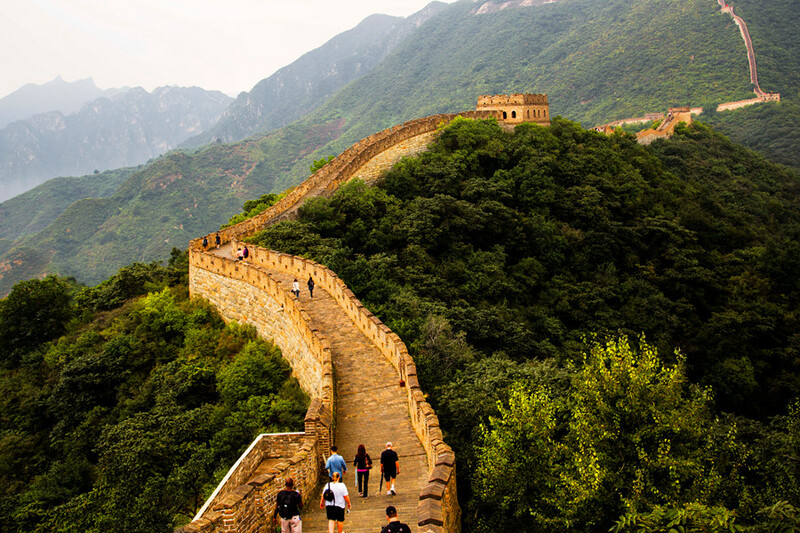 It is suitable for those tourists who are interested in China culture and architectures and lesds you to get a deep touch with the Chinese architectural culture. On the way back to your hotel, you are fortunately to pass by the famous Bird's nest and the Water Cube. You can take their exterior photography photographs to keep track of the two grand constructions and leave a pleasant memory here. In the morning, our guide will pick you up from your hotel and take you to visit Panjiayuan Antique Market. Panjiayuan market covers an area of 4.85 hectares of land and accommodates over 3,000 stalls. It is the largest antiques market of its kind both in China and Asia. 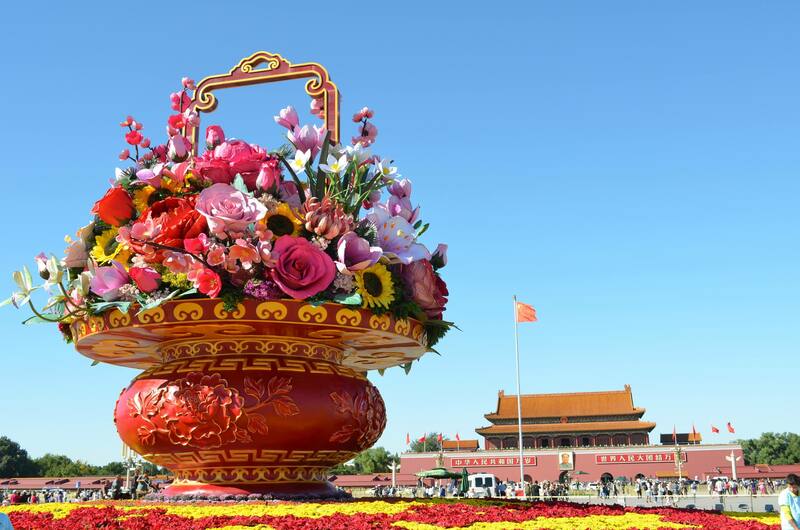 Located at the southeast corner of the 3rd Ring Road in Beijing, it is the largest, most complete, cheapest and most popular market selling second hand goods and curios in China. There are so many types of goods in the market that it is like a museum. It is a heaven for buying and appreciating antiques, crafts, collectibles and decorations. Next, walking along the Hutong alley and taking the rickshaw to experience the old life of Beijing.Hutong is a window into Beijing folk life. Drive you to Nanluoguxiang Hutong, it's one of the best preserved historical areas in downtown Beijing, is famous for its hutong and siheyuan courtyards. Recently the popularity of Nanluoguxiang has increased noticeably with tourist numbers on the rise after 2008 Olympic Games. You will do a short walking along the authentic Beijing Hutong. will give you a deep impression of the local residents’ live. You will have lunch at local family, to taste the home cooking style. In the afternoon, you will visit 798 Art Zone. 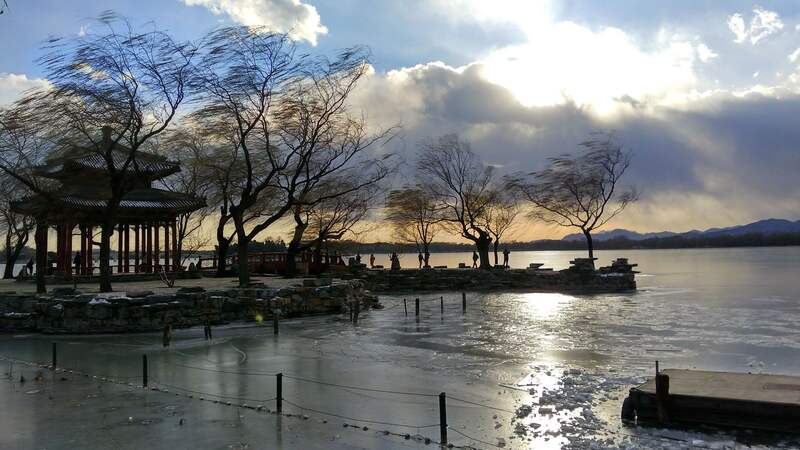 It is located in the Dashanzi area, to the northeast of central Beijing. It is the site of state-owned factories including Factory 798, which originally produced electronics. Beginning in 2002, artists and cultural organizations began to divide, rent out, and re-make the factory spaces, gradually developing them into galleries, art centers, artists' studios, design companies, restaurants, and bars. After dinner, you will be taken back to your hotel in Beijing. Our driver will pick you up from your hotel in the early morning and transfer to Beijing airport for your flight to Datong. 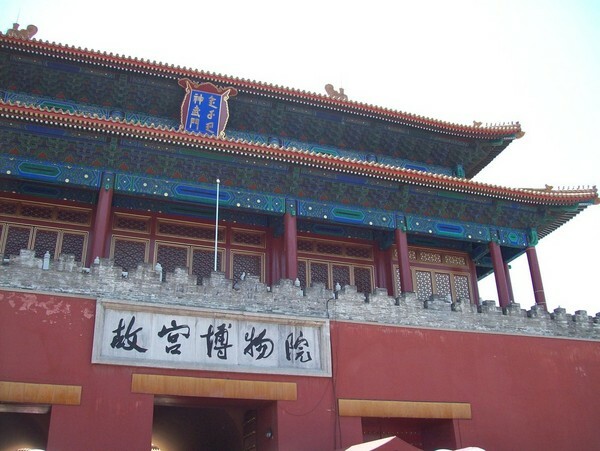 Once you arrive, our Datong local guide will meet you at the exit of airport with a welcome sign "China Private Tour". The first stop for the tour is Yungang Grottoes, with their 252 caves and 51,000 statues, represent the outstanding achievement of Buddhist cave art in China in the 5th and 6th centuries. The Five Caves created by Tan Yao, with their strict unity of layout and design, constitute a classical masterpiece of the first peak of Chinese Buddhist art. After admiring the art, you will go to a local restaurant for a Chinese lunch. In the afternoon, you will visit Huayan Monastery, positioned at the heart of Datong old town and it is one of the most prestigious Buddhism temples across the country. The Huayan Monastery was erected during the Liao Dynasty and is an excellent example of architectures combining both Khitan and Han characteristics. The Monastery consists of two main structures, the Upper and Lower Huayan Monastery. Continue your tour to Nine Dragon Screen, built over 600 years ago, is presently the oldest and largest glazed screen in China today. It is three times larger than that in Beihai Park , Beijing City. The screen, built for the thirteenth son of Zhu Yuanzhang, the first Emperor of the Ming Dynasty (1368-1644), has been well preserved and remains intact to this day. After dinner, you will be taken back to your hotel in Datong. In the morning, our guide and driver will meet you at your hotel after check-out. Today, you will visit Hanging Temple, also Hanging Monastery or Xuankong Temple is a temple built into a cliff near Mount Heng in Hunyuan County, Datong City. The temple was built more than 1500 years. Along with the Yungang Grottoes, the Hanging Temple is one of the main tourist attractions and historical sites in the Datong area. Afterwards, drive about another 1 hour to Yingxian County, you will have lunch at a restaurant in this county. After lunch, you will pay a visit for Yingxian Wood Pagoda, was built in 1056 during the Liao Dynasty (916–1125), 75km from Datong. 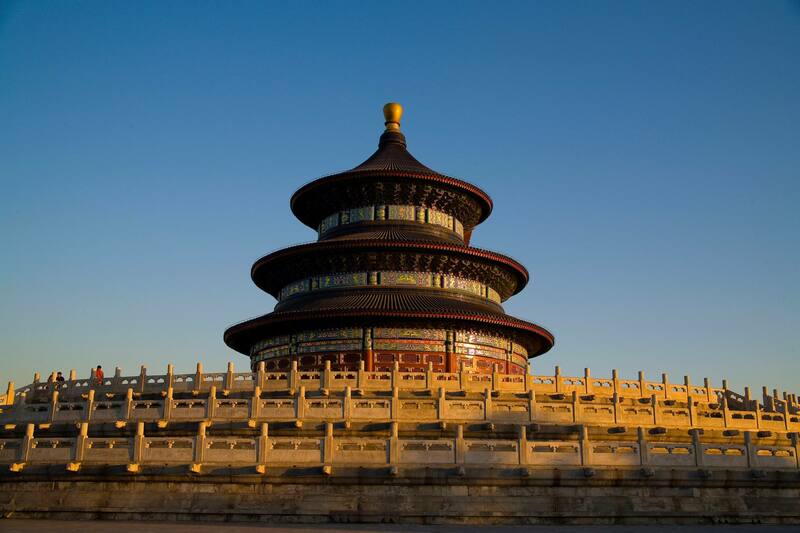 It is the oldest all-wood pagoda in China, as well as the only Buddhist temple that was totally built with wood. It is also called Sakyamuni Pagoda of Fogong Temple. It is the tallest all-wood pagoda in the world. You will be driven to Pingyao Ancient City when you done the places along the road. Upon you arrival, our guide will take you to have dinner and then check-in your Pingyao hotel. Our guide and driver will meet you at your hotel lobby. Firstly, dirve you to visit Qiao Family Courtyard, it is not far from Pingyao ancient city. Qiao family were among many successful businessmen in Shanxi, who later spent their fortune to build the luxury courtyards with the traditional Chinese building art. It is a huge courtyard with 6 large courtyards and 19 smaller courtyards. The estate covers 9000 square meters with 313 rooms. Architects think it to be one of the refined existant examples of private residences in northern China. It has been turned into a folk museum. After visiting, drive you back to Pingyao for a Chinese lunch to taste some local cuisine. In the afternoon, you will explore the Pingyao Ancient Town. Such as Rishengchang Exchange Shop, was established in 1823 of Qing Dynasty (1644-1911), it is the first private financial organization of China majoring in deposit schemes, loans and remittance services. The headquarter was situated at Pingyao old town with an area of 1,600 square meters; its 35 plus branches are widely spread all over China mainly in those big commercial cities. The business lasts 108 years, playing an important role in the development of civil economy and industries. You will walk along the Ming Qing Street. It was founded in the year of 1856 and went out of business in the year of 1913, is also called South Street and had been the most prosperous business hub of Pingyao County since ancient times. Along the street, architecture of Ming Dynasty (1368-1644) and Qing Dynasty (1616-1912) are here and there. 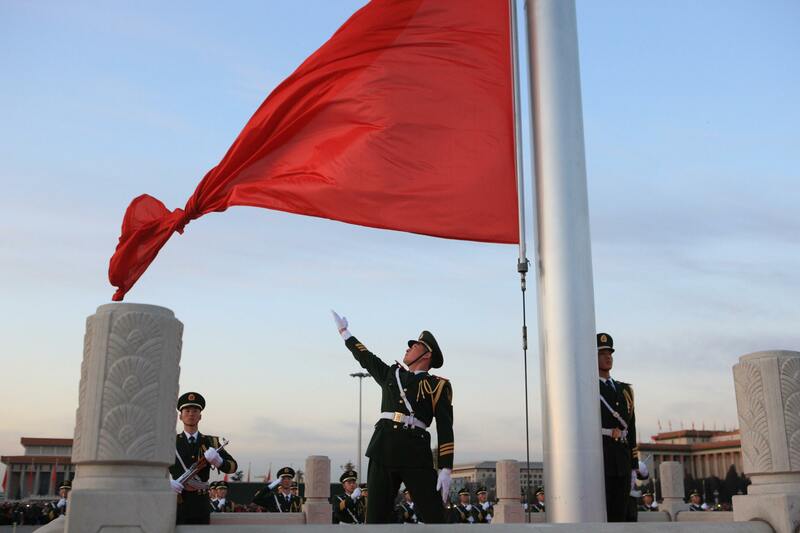 In June, 2009, it was designated as the first batch of Renowned Chinese Cultural-Historic Street. After dinner, you will be taken back to your hotel in Pingyao. In the morning, our guide and driver will meet you at your hotel lobby. Drive you to Lishi County to visit the Wang's Courtyard, is a rare example of vintage Chinese civilization handed down through the ages. Built by the Wang family of Jingsheng in Lingshi County, descendants of the Wang family of the city of Taiyuan some 150 kilometers to the north and one of the four prominant merchant families of Shanxi Province during the Qing (CE 1644-1911) Dynasty, the compound is an unsurpassed masterpiece of Chinese residential architecture from the Qing Dynasty period. After lunch, transfer to Pingyao train station to catch the train to Xian. Upon arrival, our Xian local guide will meet you at the exit of train station with a welcome sign "China Private Tour". Transfer to your hotel in Xian. Your lunch is arranged at local restaurant with tasting local cuisine. Such as Liangpi, it is made from rice, this cold noodle dish is a summer favourite through Shaanxi province as well as other places around China. 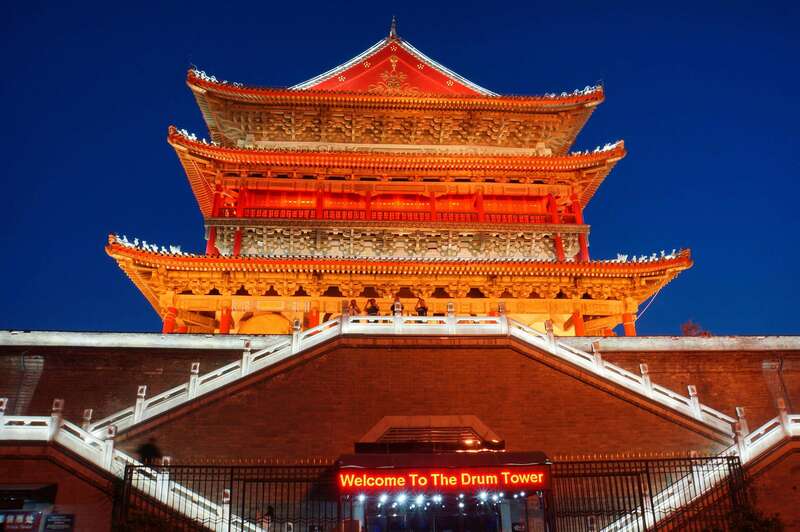 After lunch, drive you back to the Xian downtown, keep going to visit the Drum Tower & Bell Tower, which is the largest bell tower in structure and shape and the best-preserved one in China. The Drum and Bell towers located in the center of the ancient city of Xian, are two of its most famous symbols. 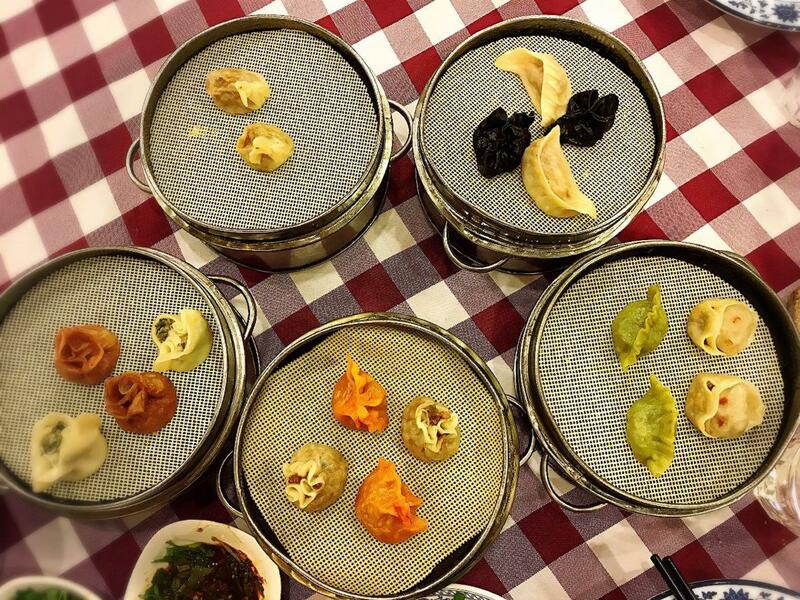 At night, you will have a Xi'an Dumpling Dinner, which is famous in Xi'an. Our guide will lead you to Shaanxi Grand Opera House and help you find your seat for the most famous Xi'an Dumpling Dinner within the Opera House.In Xian, a must for visitors to try is the delicious dumplings. 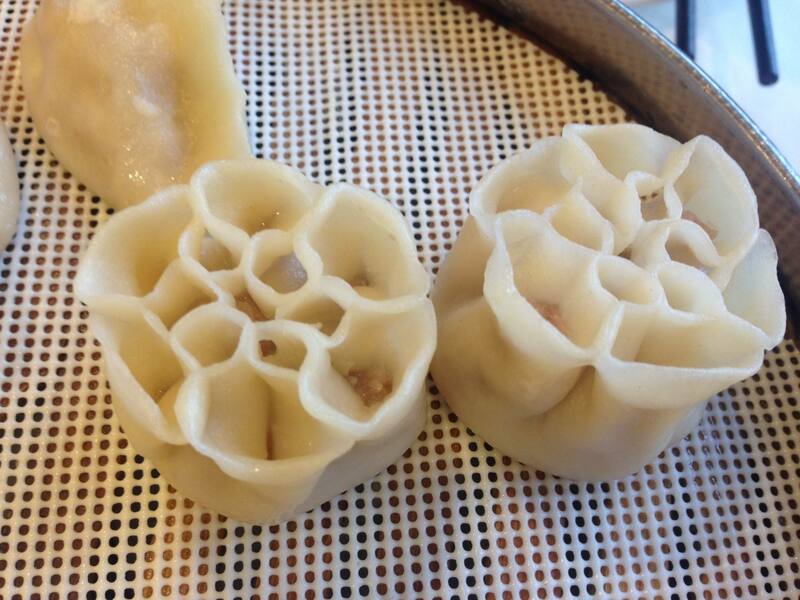 While tasting those dumplings, customers will be astonished by the cooks' smart cooking methods include steaming, boiling, pan-frying, deep frying, and roasting. 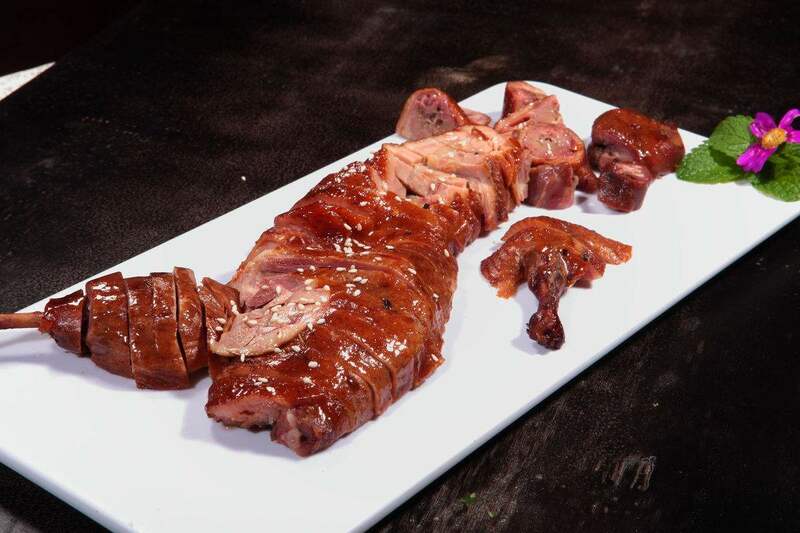 It seems that all of the indigenous meat and vegetables can be used for the dumplings' stuffing, such as pork, mutton, beef as well as celery, radish, cabbages, etc. Nowadays, by the cooks' continuously improving, the dumpling has been one of the local best foods to entertain visitors from home and abroad..
After dinner, you will enjoy the local colorful and splendid Tang Dynasty Dance Show, which is a performance of music and dance that imitate the Tang Dynasty over one thousand-year ago. The Tang Dynasty Music and Dance Show, a wonderful performance of the ancient music and dance, is a must when you visit Xian. Drive you back to your hotel. In the morning, first drive you to visit the Ancient City Wall. 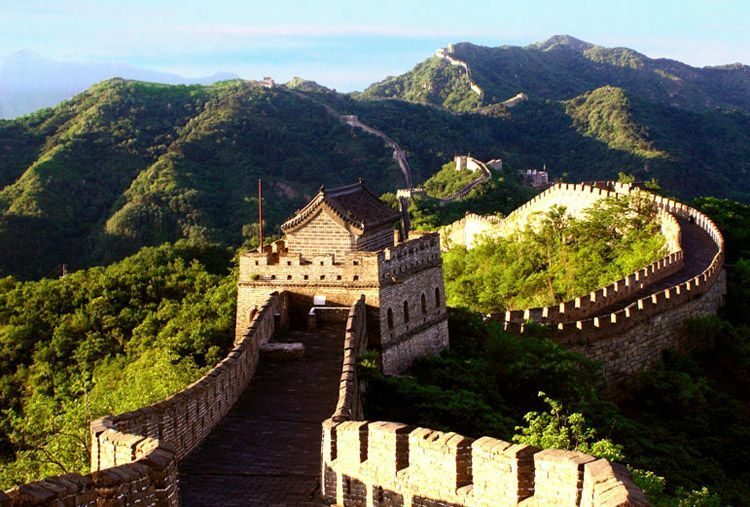 This wall represents one of the oldest and best preserved Chinese city walls, as well being one of the largest ancient military defensive systems in the world. Now it is 12 meters tall, 12-14 meters wide over 14 kilometers in length with a deep moat surrounding it. You can walk, or even cycle on the wall. Its south gate is the largest with a suspension bridge. Most of the tourists choose the south gate for sightseeing. Continue to visit the Big Wild Goose Pagoda, also named Giant Wild Goose Pagoda. 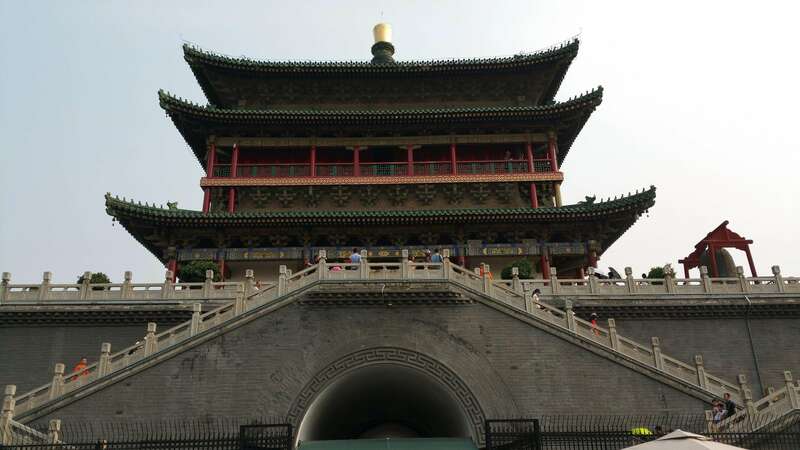 It is a Buddhist pagoda located in southern Xi'and became the symbol of the old-line Xi'an. 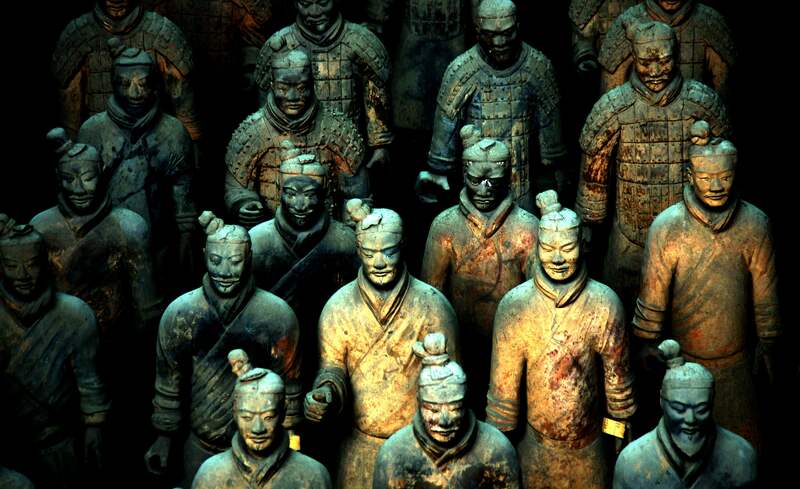 It was built in 652 during the Tang dynasty and originally had five stories. The structure was rebuilt in 704 during the reign of Empress Wu Zetian, and its exterior brick facade was renovated during the Ming dynasty. The Big Wild Goose Pagoda attracts numerous visitors for its fame in the Buddhist religion and its simple but appealing style of construction. 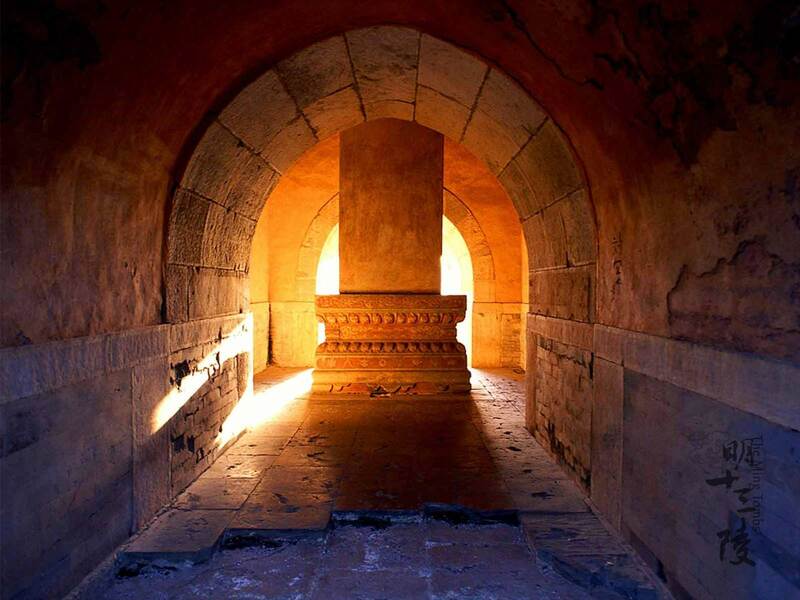 It is rated as a National Key Cultural Relic Preserve. One of the pagoda's many functions was to hold sutras and figurines of the Buddha that were brought to China from India by the Buddhist translator and traveler Xuanzang. After lunch, transfer to Xi'an airport for your flight to Shanghai. Upon arrival,our Shanghai local guide will pick you up at the exit of airport with a signage "China Private Tour" and take you to your hotel in Shanghai. In the morning, our guide and driver will pick you up from your hotel. 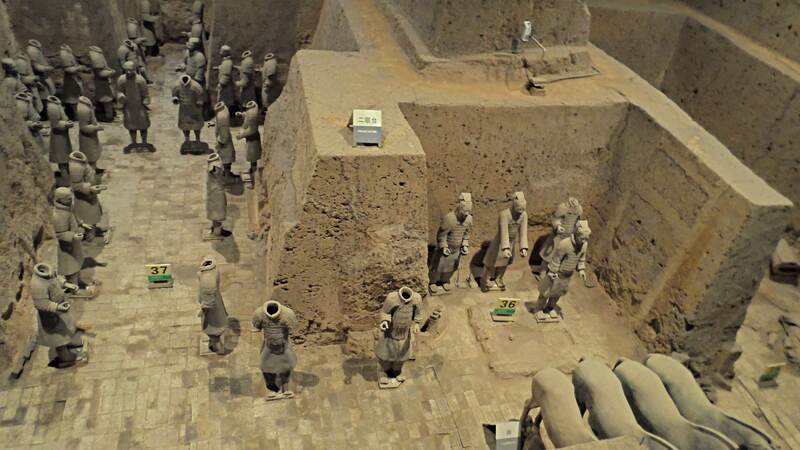 Firstly, you will visit Shanghai Museum, which is a museum of ancient Chinese art, situated on the People's Square in the Huangpu District of Shanghai, China. 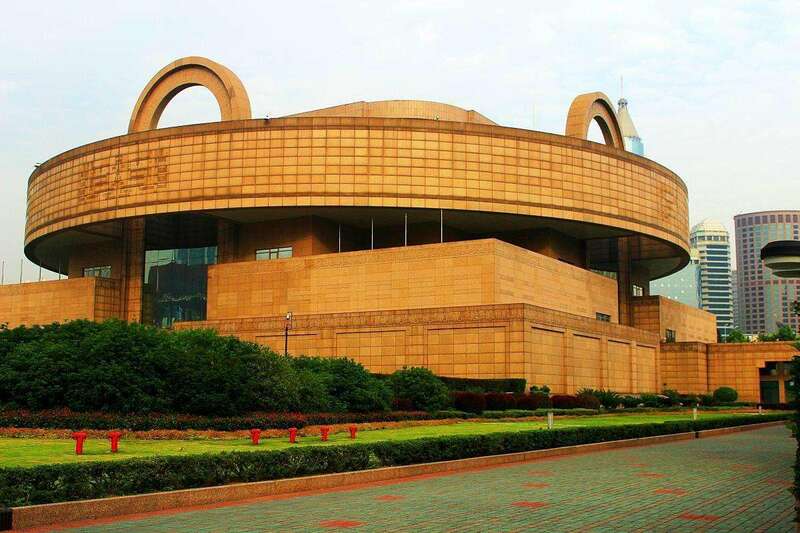 The museum was founded in 1952 and was first open to the public in the former Shanghai Racecourse club house, now at 325 West Nanjing Road, it was rebuilt at its current location in 1996, it is considered one of China's first world-class modern museums. The museum has a collection of over 120,000 pieces, including bronze, ceramics, calligraphy, furniture, jades, ancient coins, paintings, seals, sculptures, minority art and foreign art. 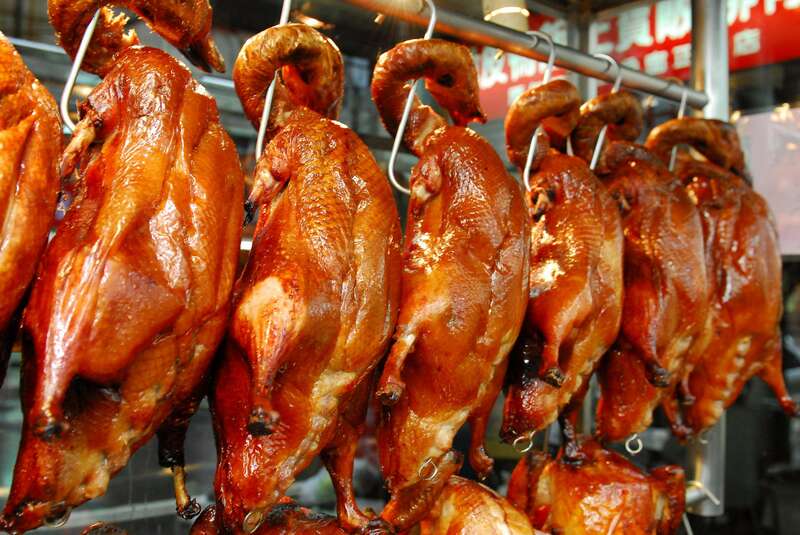 You will have lunch at local restaurant, where you can enjoy some authentic Shanghai food. After lunch, drive you to the Lujiazui and visit the famous Jinmao Tower to have an eye-bird's view of Shanghai city. Jin Mao Tower is located in the center of Lujiazui Finance and Trade Zone in Pudong.The 88-stories Jin Mao Tower was completed in 1999. It is 420.5 meters (almost 1,380 feet) tall and covers an area of 2.3 hectares (5.68 acres). The architect, Adrian D. Smith, of this skyscraper ingeniously combined the elements of traditional Chinese culture with the newest architectural styles of the time, which makes it one of the best-constructed buildings in China. Then proceed to visit the "Pedestrians only" Nanjing Road, a walking bustling street that is always packed with people waching other people. When people mention Shanghai's Nanjing Road, they're probably talking about East Nanjing Road, a pedestrian shopping street running for blocks between the northeast corner of People's Square and the Bund. Nanjing Road, 5.5 km in full length, enjoys the reputation as China No. 1 commercial center. It was the earliest commercial street in Shanghai since the city opened to the outside world. Pick you up from your hotel at pointed time, our driver will drive you to Shanghai train station to catch a high speed train for Suzhou. Upon your arrival, our Suzhou guide will wait for you at the exit of train station with a welcome sign "China Private Tour". The first stop for Suzhou tour is Lingering Garden. It is one of the four most famous gardens in China with plenty of exquisite halls in various sizes, shapes and colors, possessing Qing style. 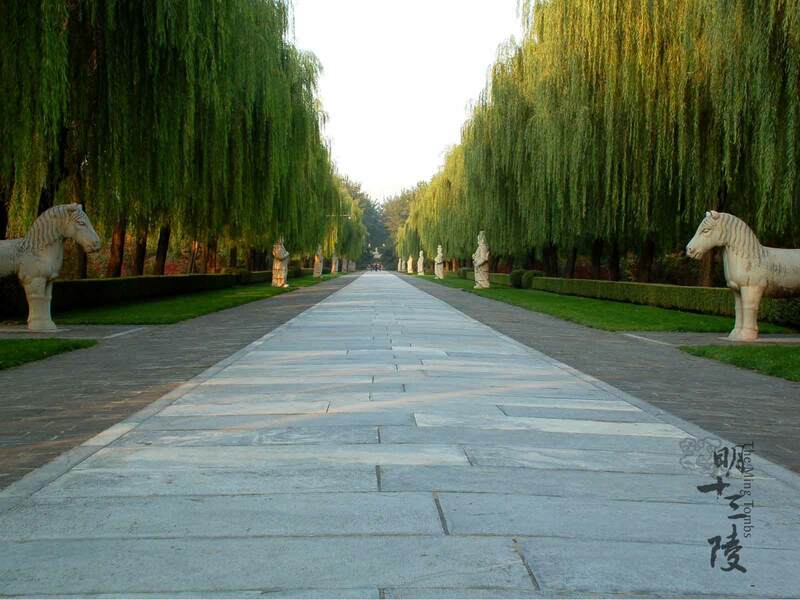 If you want to savor a natural beauty in a man-made garden Lingering Garden(Liu Garden in Chinese), such a famed garden with delicate designed architecture, featured shaped stones and idyllic scenery, can satisfy your needs. As one of the Four Famous Garden, Lingering Garden will give you a visual treat. After admireing the classic Chinese gardens, our guide will take you to a local restaurant for lunch to try the authentic Suzhou food. In the afternoon, visit Tiger Hill, one of the most renowned tourist destinations in Suzhou, which is in fact a hillock about 30 meters in height. However, this tourist attraction site comprises nearly a dozen of historic and cultural relics to see, including Tomb of King He Lu, Yunyan Pagoda, Sword-testing Stone, the Thousand Men Rock, and the Sword Pond. 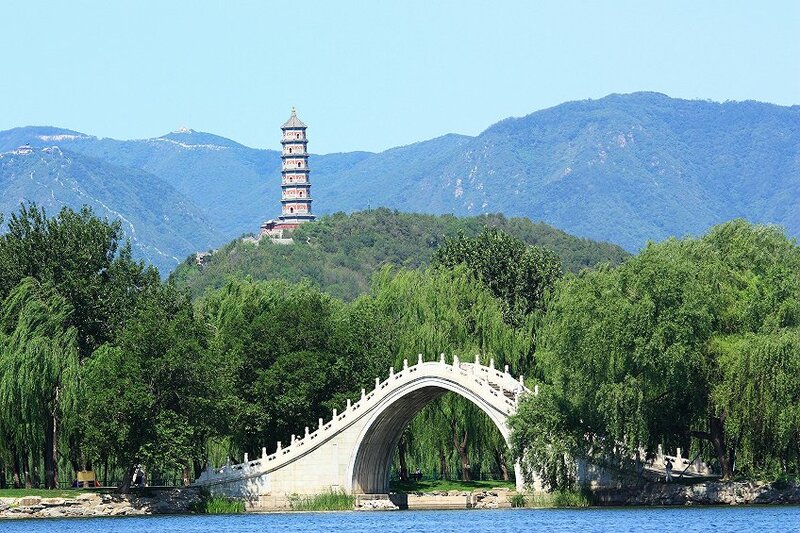 The millennium-old Tiger Hill Yunyan pagoda stands on the top of the hill and is considered as the symbol of Suzhou. Next, you will have a lesuire time to walk along the ancient street - Pingjiang Ancient Street. With the length of 1,606 meters, Pingjiang Road parallels with Pingjiang River. The typical houses of ancient Suzhou with white walls and black tiles are standing by the street, simple and unsophisticated. Today, the old town of Suzhou centred around Pingjiang Road in the northeast, remains little changed since Song Dynasty, some 800 years ago. The last stop for today is Suzhou No. 1 Silk Factory. Suzhou has a long and rich history of silk culture, including mulberry tree and silk worm cultivation and turning raw silk into beautiful fabric. The Suzhou No. 1 Silk Factory more like a museum which shows you how the silk is made from cocoons from the beginning and the whole silk process. After dinner, you will be taken back to your hotel in Suzhou. After breakfast, our guide and driver will meet you at your hotel. Drive you to Tongli Water Town, it takes around 1 hour. Tongli is an aged town located a short drive from Suzhou, which is about a hour drive outside of Shanghai. Tongli is over 1000 years old and has only recently been changed into a tourist attraction. The town is characterized by stone bridges and well preserved ancient architecture including private gardens, temples and houses. Firstly, pay a visit for Retreat and Reflection Garden, a traditional Suzhou-style garden. Built in 1885, it joined Suzhou's other classical gardens in 2001 in becoming a UNESCO World Heritage Site. In spite of the garden's similarities to other standard Suzhou-style layouts, the east-west axis is unique for the region. Your private guide will accompany you along the way, introducing the varied and unique features. Next, move on to Luo Xingzhou, a small island town at the heart of Tongli Lake. Regal housing and gardens and ancient bridges and walkways merge to create a magical isle. Cruise the tranquil waters in a traditional wooden boat, taking in the river's vistas before wandering the island town. Break for lunch at a Chinese restaurant to taste some food in Water town. After lunch, visit Chongben Hall to view its intricate collection of wood carvings inspired by the folklore of the Yangtze River Delta. You will also walk around Jiayin Hall, a traditional mansion constructed in 1912. 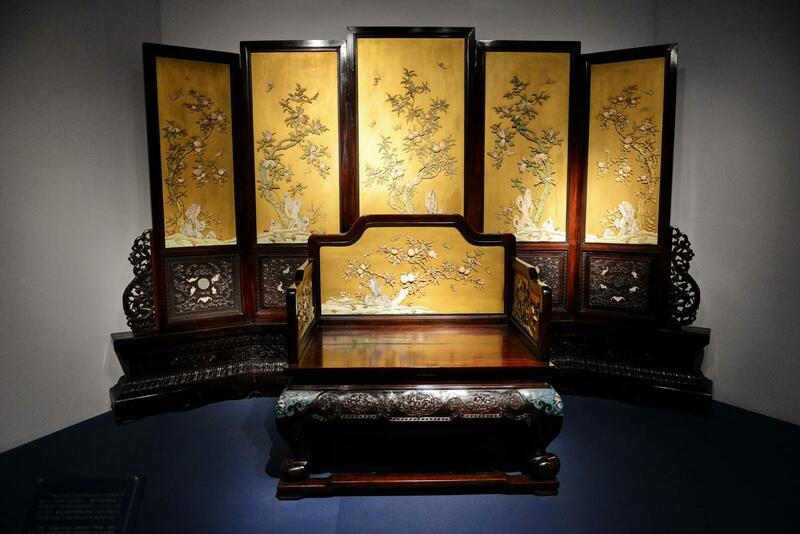 Scattered with engravings depicting "Romance of the Three Kingdoms", a seminal Chinese novel, the complexity and precision of the craftsmanship and carvings in this mansion are simply astounding. Afterwards, go for visiting the Three Bridges. Tongli has more than 50 bridges, however the three most popular are the Taiping, Jili, and Changqing bridges. When celebrating milestones such as births, weddings or birthdays, locals will cross the bridges and pray for health, happiness, and future prosperity. As you walk the bridges, your guide will explain their folklores while you take in the scenery. After the tour, transfer to Suzhou train station to catch the high-speed train back to Shanghai. Once you arrived in Shanghai, our guide will wait for you at the exit of station with a sign "China Private Tour", drive you to your hotel after a dinner at local restaurant. Free on your own in the morning, then you will be transferred to the airport and you can fly back home. Have a pleasant trip!